My black men, your judged and talked about regardless of whether your in the forefront of the crowd or not. Your persona, stance, clothing and attitude are judged more closely that your fellow white couterparts, however you must embrace the history that has been left before you to rise above the criticisms and aspire for better than living up to bad expectations.... 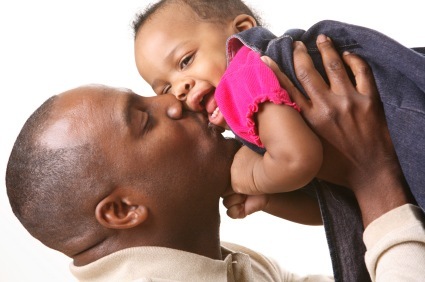 Nothing is stopping you being GREAT fathers, husbands, boyfriends, colleagues, and KINGS YOU WERE BORN TO BE. Not many inventors have resumes as impressive as George Edward Alcorn's. Among his credits, the African-American inventor received a B.A. in physics, a master's degree in nuclear physics and a Ph.D in atomic and molecular physics. Despite such impressive credentials, Alcorn is probably most famous for his innovation of the imaging x-ray spectrometer. Generally, when people think of famous African-American inventors, one of the first names that springs to mind is George Washington Carver. Perhaps most famously, Carver discovered over 300 different uses for peanuts – including making cooking oil, axle grease and printer's ink. Every time a person crunches into a potato chip, he or she is enjoying the delicious taste of one of the world's most famous snacks – a treat that might not exist without the contribution of black inventor George Crum. As a child, Mark Dean excelled in math. In elementary school, he took advanced level math courses and, in high school, Dean even built his own computer, radio, and amplifier. Dean continued his interests and went on to obtain a bachelor's degree in electrical engineering from the University of Tennessee, a masters degree in electrical engineering from Florida Atlantic University and a Ph.D. in electrical engineering from Stanford. It's impossible to determine how many hundreds of thousands of people would have lost their lives without the contributions of African-American inventor Dr. Charles Drew. This physician, researcher and surgeon revolutionized the understanding of blood plasma – leading to the invention of blood banks. Kenneth J. Dunkley is currently the president of the Holospace Laboratories Inc. in Camp Hill, Pennsylvania. He is best known for inventing Three Dimensional Viewing Glasses (3-DVG) – his patented invention that displays 3-D effects from regular 2-D photos without any type of lenses, mirrors or optical elements. Anytime you see a truck on the highway transporting refrigerated or frozen food, you're seeing the work of Frederick McKinley Jones. One of the most prolific Black inventors ever, Jones patented more than 60 inventions in his lifetime. Ninety percent of microphones used today are based on the ingenuity of James Edward West, an African-American inventor born in 1931 in Prince Edwards County, VA. If you've ever talked on the telephone, you've probably used his invention. The following information is taken from Brother Tony Warner's www.blackhistorywalks.co.uk newsletter with much apprecaition. Ron 'The Don' Daniel. In the movie 2010 a black geologist saves the planet but there is a real-life St Lucian geologist who is making a difference to the world. If not consulting on how and where to find oil Ron can be found running marathons to raise funds for charity. He also arranged for hundreds of pounds of in-kind sponsorship by getting his work premises to host meetings for a community mentoring group .He visits schools to inspire students with his career path into Geology. Louis Buckley explorer/photographer/action man. Aged 23 he decided to make a film on the history of Sierra Leone. He used his own resources, got hold of camera and a friend who spoke the language then jumped on a plane to Freetown. He made Lion Mountains which premiered at the Odeon Leicester Square. Tired of the usual TV stereotypes of Africa he used his contacts to fund a trip to Sudan where he produced Nubian Spirit a documentary to rival any BBC production which won Audience Farourite at the Pan African Film Festival 2009. He is currently editing a film he made about Ethiopia's millenium. He was also producer on the Grove Roots dvd where he trained young people on film-making. Carlos Ifekoya. Technical Architect is one of only 3000 people in a world of 6 billion to pass the ultimate level of the elite CISCO Expert computer consultant course which has a 15% pass rate. He was a championship boxer who represented his country and spent many years as co-ordinator on the historical film roadshows known as ETF which educated thousands of people for free. He is well known for his cooking skills and his extensive library on African history. Brother Hakim the Film Doctor works in a huge school in Tower Hamlets where the majority population are Bengali boys. Put in charge of the internal exclusion unit Hakim began to use popular films like Scarface, Boyz in the Hood and the Matrix to break stereotypes, analyse masculinity, and promote educational success . Boys who were 'unteachable' and violent were sitting still, paying attentition for hours and even staying after school. He then developed a peer mentoring programme whereby the 'bad boys' were tasked with reforming other 'bad boys' and improving their behaviour. This went so well that Hakim was moved from an exterior portakabin on his own, to an office within the school with staff. The programme continued and the 'bad boys' who had now left school came back and got jobs as learning mentors within the school. Hakim has recently been promoted but still finds time to do presentations on film history. Patrick Vernon used his own cash to set up and run an office with three staff and launch Every Generation . EG promoted a variety of events on black history and genealogy. Annoyed by the 100 Great Britons contest which failed to mention a single black person Patrick organised a public vote to create the 100 Great Black Britons website. This competition elected Mary Seacole as number one and the resulting publicity helped put Mary on the national agenda and provide a platform for her statue appeal. He recently became a councillor in Hackney, made a film on Jamaican RAF veteran Eddie Noble and established the Afiya Trust which is concerned with black mental health issues. Robin Walker is the African-British genius who spent 17 years researching ancient African history before producing the 700 page book When We Ruled . The book is a comprehensive resource which provides extensive information which contradicts the miseducation about Africa. He also authored Before the Slave Trade which is designed for teachers and younger readers to show African civilisations before European invasion with lots of rare images that he spent years obtaining. He designed and taught an African-centred curriculum with great results at a North London school. He regularly gives presentations in the community. Clarence Thompson MBE is a real life superhero responsible for many rights which are now taken for granted. Coming to England as a highly skilled Trinidadian oil worker he could not get a decent job in 1950's England. He was refused service in pubs and spat at when inquiring about rooms to let . These incidents led to him being one of the main architects behind the Race Relations Act of 1965 which is the great grandfather of the Race Relations Act of 2000 which protects the population from unfair treatment on the grounds of race, nationality,colour or ethnic origin. He is also heavily involved with the Queen Mother Moore Saturday School. Tunde Jegede is a composer, producer song writer and multi- instrumentalist in Contemporary Classical, African and Pop music. He studied the art of the Griot in Gambia with Amadu Bansang Jobarteh, Master of the Kora . The Jobarteh family are one of five principle musician families within this unique hereditary Oral tradition, which dates back to at least the 13th century. In 1988 He formed his own Jazz Ensemble, The Jazz Griots, with the sole purpose of exploring the connections between African and African Diasporic forms of music. In 1991 he pioneered the first ever national tour of the African Classical Music Ensemble. He's performed new compositions alongside the London Sinfonietta and has worked with The Royal Philharmonic Orchestra, The Philharmonia, Britten Sinfonia, Viva Sinfonia, The London Mozart Players and The Bournemouth Symphony Orchestra.